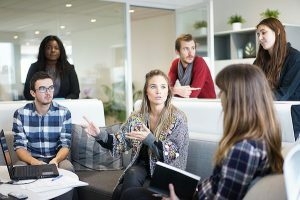 Creating a Company Culture: What it is and why it matters | Transformation Point, Inc.
You’ve developed your company’s slogan and have a tagline that appears on every marketing piece and press release. But what about your corporate culture? Can you describe it? Do you even have one? And if you do, is it the one that you want? Make no mistake, whether you’ve actively created one or just allowed it to happen, your company does have a culture. It’s up to you whether it helps your business or harms it. There is the appearance of a corporate culture — the games in the break room or the formal dress code five days a week — and then there is the real corporate culture, where the values are inculcated throughout the business, starting with the recruiting process and continuing at every level and in every department. You may not have consciously developed one but it’s present nonetheless. Just ask your employees what the priorities are for the business or how performances is measured or rewarded. Or ask customers why they choose to do business with you — or, for those who have gone elsewhere, what motivated them to leave. All those reasons and explanations provide insights into your company’s culture. Let’s start with the impact the corporate culture can have on staffing. 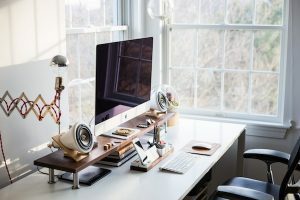 According to Luanne Kelchner in Importance of a Healthy Corporate Culture, when the culture is unhealthy, employees work for their own reasons and feel little connection to organization. Morale is low, which leads to reduced productivity. Turnover is up, increasing the costs for recruiting, hiring and training. 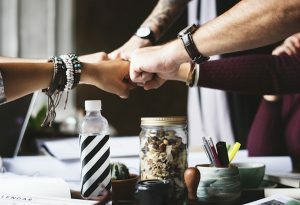 But in a healthy corporate culture where each member feels valued regardless of their position or job title, wrote Kelchner, employees work as a team to meet the company’s goals as well as to satisfy their own personal needs. Both productivity and the level of quality rise, leading to promotions and awards for the staff and a higher level of profitability for the company. As for recruitment, when a company is known to be a good place to work, where the “walk” matches the “talk,” then it will attract a better class of job candidates who want to be there and, if hired, will stay. This definitely plays a role when the candidates are millennials, according to Greg Besner. In Why Company Culture Is More Important Than Ever, he wrote that millennials, unlike previous generations, look at “company values, meaning, community, and culture” when choosing what job offer to accept. The corporate culture is also tied to your company’s reputation and how it is perceived in the marketplace among its peers and customers. When a company has a healthy culture, its stock, both financial and metaphorical, increases in value. Customers may prefer to do business with companies whose values match their own, while competitors will be forced to “up their game” if they want a piece of the market pie. And to get your organization ready to “walk the talk,” you need to articulate all the components of the culture clearly and concisely, and then have a mechanism in place to monitor adherence, solicit feedback and adjust as needed. There is no one-size-fits-all model for a healthy corporate culture. What works at a technology firm in Silicon Valley probably won’t work at major health system based in the south or a manufacturing firm in the Midwest. But there are some common denominators that you can employ when developing your own corporate culture, as listed by Tiffany Black in 12 Ways to a Great Corporate Culture. These include valuing your employees’ opinions, sharing your vision for the future with all members of your company and actively encourage a sense of camaraderie. As part of your culture-change process, ask for input from all levels regarding what needs changed and how to make the change. Culture, like fingerprints, is unique to each organization. Once you have defined the culture you want for your company and established the framework and expectations that will support that culture, focus on making it work, not on what is working for the company down the street.